You had a great reading month, Raven! I agree about Two Can Keep a Secret! I can’t wait until her next release! Two can keep a Secret was a great read! It kept me guessing till the end! Can’t wait to read her next work! Me either! Let’s hope it comes out soon! I loved Two Can Keep A Secret and Ash Princess. I really loved Lady Smoke, too. I hope end up liking it! I love hearing you loved Two Can Keep a Secret more than her first book. I adored both! It looks like you had a great reading month. Two can keep a secret was a good read! I didn’t expect to enjoy it as much as I did! 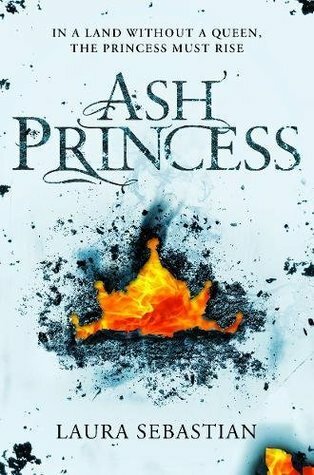 Ah I LoVED Ash Princess, I’m so glad you liked it. On to Lady Smoke!! Thank you so much, Marie! Echo North was a total magical read! It was so good! I highly recommend it! I still have to count my books but I am so happy that you loved Two can Keep a Secret!! I’m sorry your year has not gotten off to a great start. I hope your pet is doing better! I’m glad you managed to read some good books, though, and hope February is better for you! I hope your fur baby is feeling all better now! And even with five books you still had an amazing month. Here’s hoping you can read even more in February.